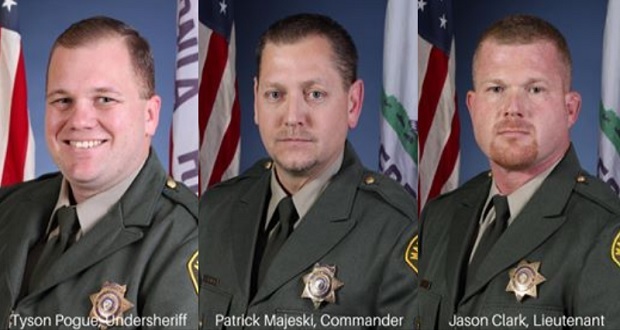 MADERA – The Madera County Sheriff’s Office will hold a Promotional and Awards Ceremony at the Sheriff’s Headquarters in Madera on Thursday, Jan. 17, at 4 p.m. The public is invited to attend. The ceremony will also include the induction of new hires William Vander Poel as a deputy sheriff, and Ashley Monk as a communications dispatcher. In a special part of Thursday’s proceedings, Sergeant Mike Pace will be awarded the Purple Heart. The Madera County Sheriff’s Headquarters is located at 2725 Falcon Drive in Madera. Undersheriff Tyson Pogue started his career 18 years ago as a mountain patrol deputy. As a deputy, he joined the dive team, became a K9 handler, and was ultimately assigned to the narcotics team. Tyson handled a very successful narcotics dog for eight years. On Sept. 1, 2007, Tyson was promoted to sergeant and returned to mountain patrol. As a sergeant, he took on several collateral duties in addition to running one or two patrol shifts and obtaining his Associates Degree in Computer Information Systems. He was the K9 Team Leader, participated in the Internet Crimes Against Children task force, and implemented the Emergency Notifications System as well as the WebEOC emergency management software systems we still use today. Tyson was promoted to the position of lieutenant Jan. 1, 2013. As the operations lieutenant, he managed patrol, OES, Search & Rescue, SWAT and several other functions. He also implemented the department’s social media. Three years later Tyson was promoted to commander. He served as the regional SWAT commander, and oversaw the operations and administrative department functions. As commander, he implemented the department’s UAV unit and continues to serve as an FAA certified drone pilot. He served as public information officer, the president of the Peace Officer Management Unit, and as commander, made several technological, operational and administrative advancements with the support of Sheriff Varney. Tyson completed EMT training and certification on his own time and was and appointed vice-chair of the CPOA Region V Board. Tyson was recently elected chairperson of the 15-member Community Action Partnership of Madera County (CAPMC) board of directors, which has a $27 million annual budget and administers several different programs including victim services. Tyson has served as incident commander during several major incidents and wildfires. Tyson is a proud, life-long, Madera County resident. He is married to Melissa and they have three children. His oldest son Josh is currently serving the Navy in Bahrain. He has two daughters, 15-year-old Mackenzie and 10-year-old Savannah. His parents Cindy and James, as well as sister Olivia, are also long-time Madera County residents. Undersheriff Pogue says he is personally invested in the safety and protection of Madera County. Commander Patrick Majeski has been with the sheriff’s office for almost 30 years after being hired on Oct. 1, 1989, as a sheriff’s deputy. Throughout his career, he has served in numerous roles, including Field Training Officer/Supervisor (17 years), SWAT (3 years), Narcotics Enforcement Team (5 years), and FAA Certified Drone Pilot (2 Years). Patrick was a deputy for 14 years and was promoted to the rank of sergeant in May 2003. He was a sergeant for nine years before being promoted to the rank of lieutenant in September 2012. Commander Majeksi is one of the department’s “Tech Gurus.” If it is computer related, he has been involved with it. He has worked with the office’s Emergency Management software WebEOC and is currently assisting with the implementation of the department’s new Computer Aided Dispatch and Records Management software from Mark43. Patrick has been married for 18 years to Elizabeth. He is the proud father of four children; his son Logan, who is a K9 deputy; and three daughters – London, who is in nursing school; Ashley (14); and Victoria (12). Patrick’s hobbies are working with computers and spending time with his family. 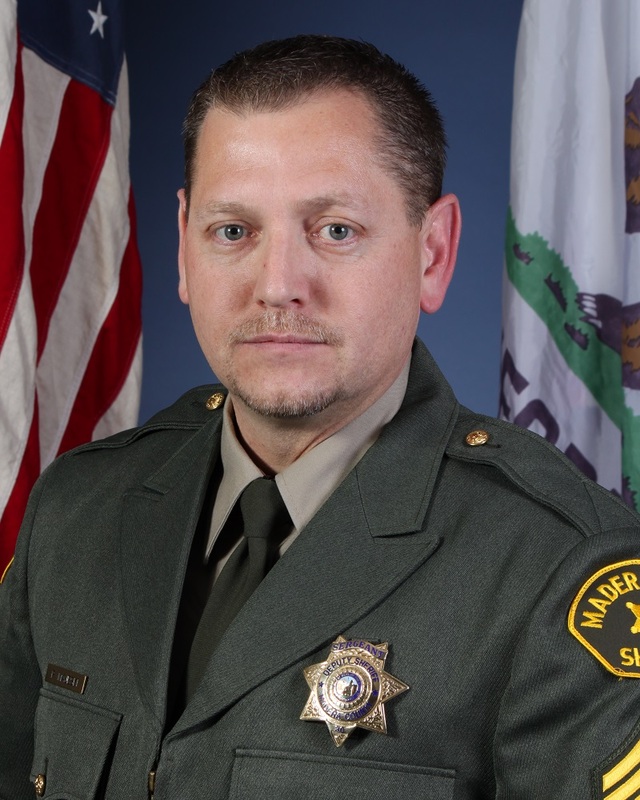 Lieutenant Jason Clark has been with Madera County 20 years as of October 2018. He began his career as a correctional officer at the Madera County Department of Correction. During his time there he was a training officer as well as a member of the Crisis Response Team. 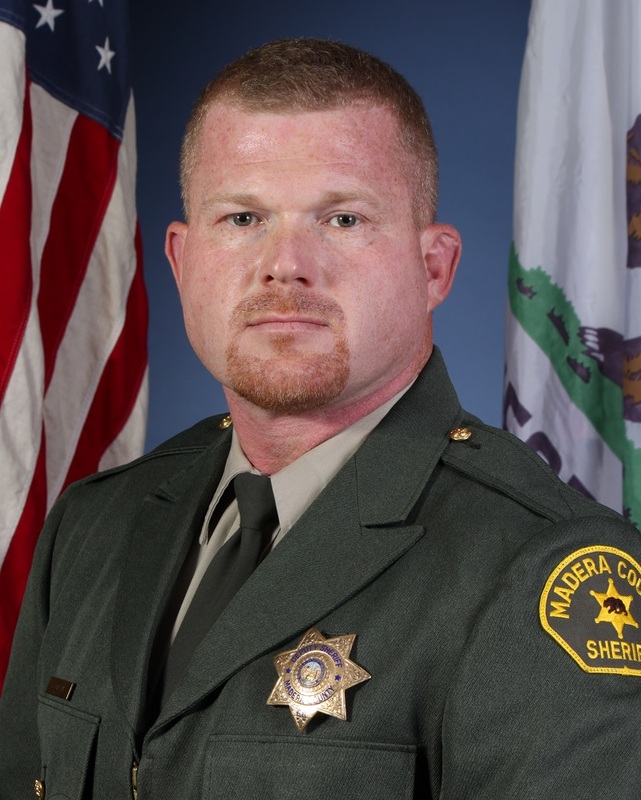 Jason then joined the Madera County Sheriff’s Office as a deputy in March of 2002. During his first year on staff, he was selected to become a team member of the Madera Regional SWAT Team. Jason was a team member for 17 years from 2002-2019. He has served the team as an assistant team leader for 3 years and then as a team leader for the last five years. 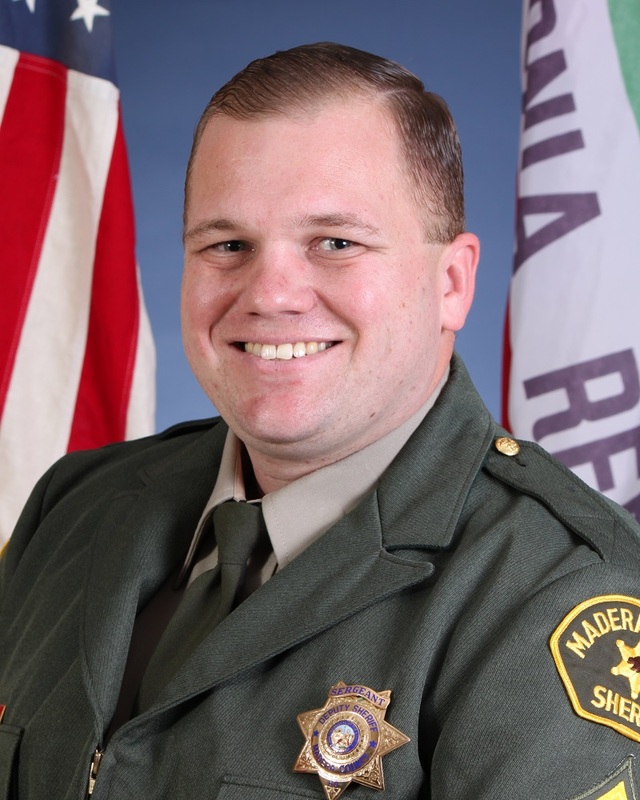 At the beginning of his career with the sheriff’s office, Jason worked patrol on the valley floor for three years before becoming a detective in 2005. He had the great pleasure of working alongside some experienced investigators and has been a part of some of high-profile cases in Madera County. Jason also had the privilege of being a member of the Off Highway Vehicle unit, where he rode one of the dual sports motorcycles for several years. Jason was promoted to sergeant in 2011. He worked as a patrol sergeant in the valley until 2015, when he was given the opportunity to be assigned to the Problem Oriented Policing (POP) unit in the valley. During his time with POP, the unit has grown to include a detective, two full time deputies including a K9 handler, and a probation officer. Jason was also a board member for the Deputy Sheriff’s Association for over 10 years where he had served as the vice president. Jason is married to Kristine, and together they share five children; Jayson, Janell, Jacob, Hunter and Hollie. The kids range from 22 years to 12 years old. He also has a 5-year-old granddaughter named Sophia.